Hello and today we are going to learn how to draw the human figure from imagination. We’re going to start out by drawing a simple human stick figure. When trying to draw a figure from your mind, it is very helpful to first draw a simple stick figure that you can build on. It is very similar to when a sculptor is creating a figure statue out of clay. He will first create a skeleton figure out of metal wires that he can then add clay to. The process of drawing the stick figure will be very similar to the second lesson in the figure drawing lesson series (Lesson #2 – Drawing Human Proportions Using Stick Figures) but in today’s video, we’ll practice drawing this stick figure in a few different poses so you can get some practice drawing a figure from your mind. After watching and drawing along with the video, practice drawing a lot of these stick figure in different poses on your own. 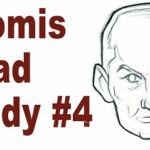 This will help you really hone your ability to draw stick figures, which is a crucial skill to being able to draw the figure from imagination. A quick tip when drawing is to try to move your arm at the shoulder and not so much at the wrist. 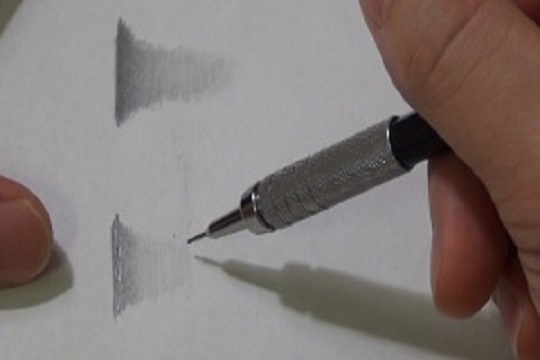 This will help make your drawing strokes much looser and create a more fluid drawing. Of course you are engaging the wrist as well. But by also incorporating the shoulder, you have much greater control of the pencil than if you are drawing JUST with your wrist. Play with this and see how it makes a difference to your drawing. When drawing the stick figure in action poses, another helpful tip is to create “move lines” BEFORE you draw the skeletons. The move lines basically outline the action that figure is taking and help us to make the drawing more life-like. Just as we are using the stick figure to help us create a more realistic fully fleshed out figure… we are using the “move lines” to help us create more convincingly dynamic stick figures. At the end of the video, you can see a demonstration of how having the skeleton figure to work with, we are able to draw the fully-fleshed out figure much more easily. If you enjoyed this lesson and would like to learn more about how to draw the human figure from your mind, be sure to check out the “Secrets of Figure Drawing” home-study course. 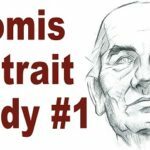 In it, we’ll cover all the techniques for drawing the human figure in details and show you step-by-step examples. And now you can try out the entire course completely risk-free for 60 days. Just go through the whole course and if you are not completely happy for ANY REASON, you can get all your money back. Click Here To Learn More About How To Draw The Human Figure! Yes! Finally someone writes about my skill is intergalactical. Thank you so much for your tutorials. Very easy to follow and well explained. I find this a great incentive to try to improve my basics. Thanks again Mary. That’s really fantastic and great. I am always ready to learn anything from you..